Malin and Tor: Two architects in conversation. 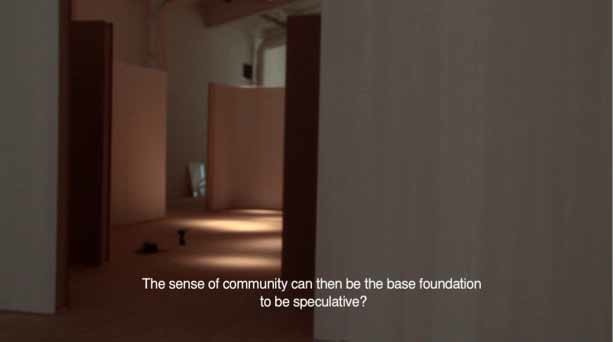 Synopsis: In March 2011 a discussion was conducted between Malin Zimm and Tor Lindstrand, during Arkitekturemuseet Live at Architekturmuseet Stockholm. The discussion unfolds in two parts: Part I: On spectacle, speculation and other spec-words. Part II: On clothes, choirs and hidden desires. The physical location where the discussion took place was filmed ten days later, during the preparation works for the staging of the next exhibition at Architekturmuseet.